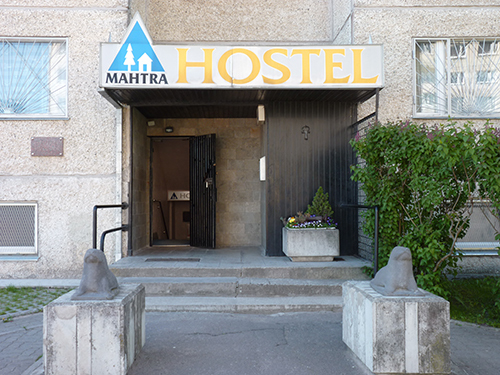 Mahtra Hostel – The hostel is located in the Lasnamäe district on the eastern outskirts of Tallinn close to the airport. Mahtra Hostel offers rooms for up to 4 people with shared bathrooms located on the corridor. Bed linen and towels are included in the price. Staff at the 24-hour reception are always happy to provide you with tips and recommendations on where to go or what to do in Tallinn. Public buses stop next to Mahtra Hostel and provide comfortable and fast transport to the city. The Mustakivi Shopping Centre is only a 5-minute walk away. There you can find shops, restaurants, bars, a night club, cafés, and a casino. Soak in the Lasnamae vibe: a great choice for travellers interested in shopping, old town exploring and architecture.